Whoever ends up filling Jim Hammer’s seat on the Police Commission is going to have their work cut out for them. Just this past month, SFPD officers were caught on video stealing personal property from suspects in searches that were very likely conducted illegally, a cop car was stolen in a Reno 911-esque bust at Hippie Hill and, despite a plethora of arrests, warnings and citations, crafty Haight-Ashbury homeless are rendering the city’s sit-lie law ineffective by standing up whenever they see a cop roll by. It would be an understatement to say that there’s a lot going on at SFPD these days. 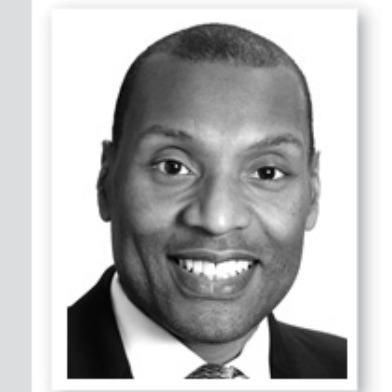 One of the most high-profile applicants for Hammer’s spot is San Francisco lawyer Julius Turman. An attorney at Morgan, Lewis & Bockius, Turman has been remarkably active in local politics for years. He’s served on San Francisco’s Human Rights Commission, was the first African American to chair the influential Alice B. Toklas LGBT Democratic Club and acted as Mark Leno’s proxy to the San Francisco Democratic Party. In the world of San Francisco LGBTQ politics, Turman is about as much of a widely-respected and central fixture as one can get without actually holding political office. Turman would seem like a shoo-in for a spot on the commission, however questions about past allegations of domestic violence continue to haunt the candidate. In 2006, Turman was implicated in a domestic violence incident with then boyfriend Philip Horne. Horne accused Turman of giving him a brutal beating, which resulted in visible injures around Horne’s face. A 911 call made during the altercation recorded Horne screaming for help. Horne initially declined to press charges immediately following the assault, but soon changed his mind. For his part, Turman claims he did nothing wrong and was only defending himself. Since District Attorney Kamala Harris’s office dropped the felony domestic violence charge against Turman, the case never ended up going to court. When the D.A.’s office gave up on the case, there were allegations it was done as a political favor from Harris to say thanks for the Alice B. Toklas Club’s tireless campaigning on behalf of her ultimately successful re-election effort. Officials in the D.A.’s office downplayed the connection between Turman and Harris, saying their relationship had nothing to do with the office’s decision to drop the case. Instead, department prosecutor Jim Rowland claimed the charges were dropped largely due to the difficultly of selling one of San Francisco’s notoriously pro-defendant juries on a “he said, he said” case where the accused had no prior history of violent behavior. Despite the setback, Thorne continued to go after Turman in a civil court. The two parties eventually settled for an undisclosed amount. While the incident won’t necessarily disqualify Thurman from serving on the body overseeing SFPD, it is a potential liability. Supervisor Jane Kim, who sits on the the committee charged with vetting potential Police Commission candidates, told SF Weekly that she had some concerns about Turman.